Right in time for CES, Lenovo has announced a suite of changes to their ThinkPad series of laptops. But while a bunch of USB ports, fingerprint sensors and Kaby Lake processors are all well and good, perhaps the biggest addition announced was the inclusion of Windows 10 Signature Edition images for the entire ThinkPad product lineup. In a post on their official blog, Lenovo announced that the latest ThinkPad line would all be getting a brand new touchpad, an infrared camera with facial recognition software, 7th-generation Intel CPUs, USB Type-C and fingerprint sensors. There's also a choice between the standard Lenovo black and a new-silver model, albeit only on certain models. But perhaps the biggest alteration has been the implementation of Windows 10 Signature Edition images for the entire ThinkPad line, which is a nice move following the Superfish adware that Lenovo installed onto new computers. There also wasn't any info released about the ThinkPad X1 series, although the company says "news is coming soon". (Read: CES.) Another key change was the inclusion of Intel Optane drives - again, on certain models - although their small storage size means they'll just be used for HDD caching for now. Starting from $US909 and available from March next year internationally (local price and release TBA), the next X270 comes with a single USB-C port, 2x USB 3.0 ports, a quoted battery life of 21 hours, a range of 4 displays varying from a 1366x768 TN panel to a full 1080p IPS touch display, up to a 1TB PCIe NVMe SSD with an optional secondary drive, up to 16GB DDR4 RAM and a smart card reader. The Yoga 370 is basically a 13.3-inch 1080p model of their Yoga series. You'll get as much as a 1TB SSD on the storage side, up to 16GB DDR4 RAM, a quoted 10.5 hours of battery life, a Thunderbolt 3 port, couple of USB 3.0 ports, Bluetooth version 4.1, and an integrated stylus that docks within the laptop. Prices start from $US1264. Starting from $US809, the L570 comes in a fair variety of models. 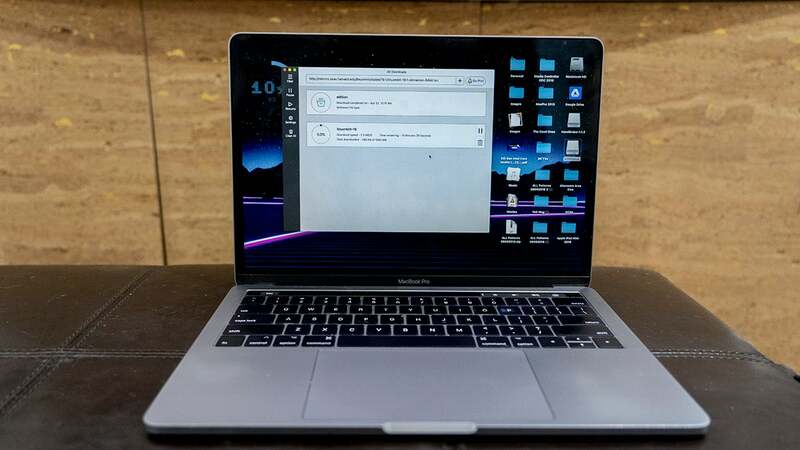 The top-line spec sports a 15.6" UHD screen, up to 32GB DDR4 RAM, a touch fingerprint scanner, storage ranging from a 2TB 5400 RPM SATA drive to a 1TB OPAL 2.0 PCIe-NVMe, a dedicated number pad, optical drive, 3x USB 3.0 slots, a Thunderbolt 3 slot, HDMI, ethernet, an audio jack, and a single 48Wh battery (as opposed to the split battery in the ThinkPad T570 and the refresh of the L570). There's an optional Optane caching drive, too. Starting from $US799, the L470 series also gets the Optane caching drives as optional. Split batteries come as standard, and you can have up to 32GB of RAM, plus there's the discrete Radeon R5 M430 GPU. Available internationally from March, like the others. $US674 is the starting point here, so I'd expect it to be the sub-$1000 offering locally. Up to 32GB DDR4 RAM, a 1080p display, 3x USB 3.0 ports, SD card reader, a USB-C port which doubles as a charging port, and the Intel Kaby Lake CPUs. It'll be available in silver too, which is nice. Available overseas from February, the 14-inch T470 is one of the few that has a removable battery. Starting from $US914, you'll get a Geforce 940MX discrete GPU, up to 32GB DDR4 RAM, fingerprint reader, a Thunderbolt 3 port and an option for a Windows Hello camera. Much the same but in a 15.6-inch body. You can get a 4K screen with the higher-end models of the T570, as well as an IR camera. Starts from $US909, but won't become available (overseas, at least) until March. Into the thin and light series now. Up to 24GB DDR4 RAM in this one - 8GB comes as standard, with an optional 16GB - as well as a Thunderbolt 3 and ethernet ports. A 1TB PCIe SSD is available too, but that doesn't come in the baseline $US1099 model. The 14-inch notebook weighs just over 1.31kg, and has a launch date of February 2017. Starting from $US1049, the T470p model is focused on performance instead of its weight. It comes with the GeForce 940MX discrete GPU, up to 32GB DDR4 RAM and split batteries with a 72 Wh pack in the rear. It'll also feature the higher-powered Intel Kaby Lake processors, instead of the low-powered U series that appears in Lenovo's smaller offerings. So that's more or less it. Some nice and expected additions, although I'd venture that the one making the biggest difference is the use of the Signature Edition images. We'll undoubtedly hear a bit more about Lenovo's lineup at CES this year, and when we get word on local pricing and availability we'll let you know.